The decision by Steve Aird to leave Maryland at the end of the 2017 season to take the helm at Indiana shocked many in the volleyball world. In his four years there, Maryland had started to build steam and become a program with potential in the Big Ten. Indiana, on the other hand, has not had a winning record in the conference since 1995. In the program’s 43 years, the team made the NCAA tournament just five times. Since 2011, the Hoosiers have had only one winning season, and last year, they won just one conference match. It turns out the challenge was as part of the appeal for Aird, and given his resume and the results he created at Maryland, it seems unwise to doubt his ability to do the same at Indiana. Aird came to Maryland in 2014, the first year the Terrapins were to compete in the Big Ten. Despite Maryland coming into the incredibly tough Big Ten after being a bottom-dwelling team in the less competitive Atlantic Coast Conference, Aird took just four years to turn things around. He brought in consecutive ranked recruiting classes in 2016 and 2017, and in 2017, he led the team to its first winning season since 2012. The Terps even had a chance at the postseason and were the first team out of the 2017 NCAA tournament. “I love volleyball, but I really love building,” Aird said.
.@CoachAird promised a different atmosphere and with the help of fantastic support it is that. Halfway through Aird’s first season at Indiana, or “Year One,” as he calls it, the Hoosiers have already surpassed their total number of victories from the entire 2017 season. The 13-8 Indiana squad is also averaging 1,183 fans at each home match, up from 780 in 2017. Aird isn’t the only one in Bloomington with a passion for construction projects. Part of the reason Aird took the job was that he could see the investments Indiana is making in athletics in general and women’s volleyball in particular. A $53 million “Excellence Academy,” a student athlete center with training and academic facilities, is in the works, and a brand-new 3,000-seat arena for women’s volleyball and wrestling is within months of being complete. Although he frequently acknowledges the incredible support he’s received from the athletic department at Indiana, Aird has also done some of the leg work himself. During Indiana’s Welcome Week, Aird spoke to the entire Class of 2022 at the Traditions and Spirits of IU event, introducing himself and encouraging the freshmen to come and out and support the team. His efforts have paid off. Not only has attendance at home matches increased more than 50 percent, but the student section features a DJ and fans in costumes, everything from cockroaches to sharks to a whoopie cushion to Kanye West wearing a giant gold chain featuring Aird’s face. Before every match, there’s a tailgate outside the area with yard games and the IU drumline. On the court, you can already see a difference, too. Indiana went 9-2 in the pre-conference portion of the season, and since the start of the Big Ten season, the Hoosiers have earned victories over Northwestern and Rutgers and have beaten Ohio State twice, despite losing star outside hitter Kendall Beerman to an ACL injury earlier this month. Aird prides himself on creating an fun environment in the gym, but one that emphasizes hard work and honesty. A few weeks removed from that Michigan match, however, Aird’s tone has softened slightly, and that performance, as well as another five-set loss to then-No. 8 Illinois, provides a glimpse of the future Aird wants for his team. 🍽🏐 Chefs & coaches have more in common than people think. This weekend, the Hoosiers will hit the road to face Penn State and Rutgers. Aird, a Penn State alum, served as an assistant coach in State College in 2007 and from 2012 to 2013, and he knows what to expect from the No. 4-ranked Nittany Lions. “Just a really good team that plays hard in an amazing environment in front of a student section that I helped put together. So there’s just ironies in all of it,” he said. “I was really fortunate to be part of one of the greatest programs ever ... I have the absolute best time going back there and playing, and I want to compete like crazy. As far as the game plan goes, Aird admits his team can’t do much to change matchups or lineups. With Beerman out for the season and two other players dealing with shoulder injuries, the Indiana bench doesn’t boast much depth. Victoria Brisack and Abigail Westenhofer set in the 6-2, freshmen Breana Edwards (the team’s leader in kills) and Kamryn Malloy hit from the left pin, while Lexi Johnson and Elizabeth Asdell swing from the right. Deyshia Lofton and Hayden Hubers form the first line of defense as middle blockers and Bayli Lebo leads the back row as the libero. Defensive specialist Meaghan Koors regularly plays Edwards’ back row. 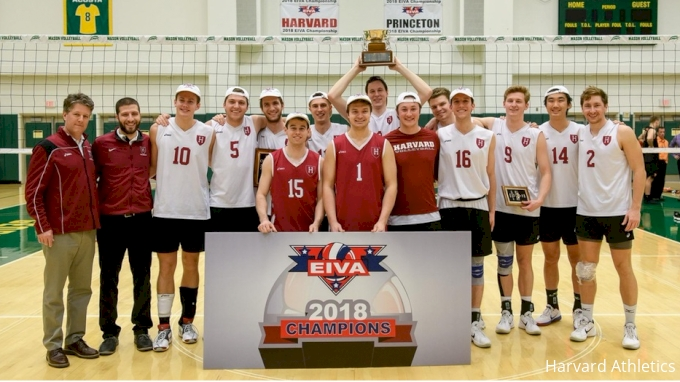 The team will scout the Nittany Lions and the Scarlet Knights ahead of this week’s matches, but at the end of the day, Indiana’s continued progress all depends on what happens on its side of the net. Aird may be playing the long game, but his belief and his efforts have already ignited noticeable change. 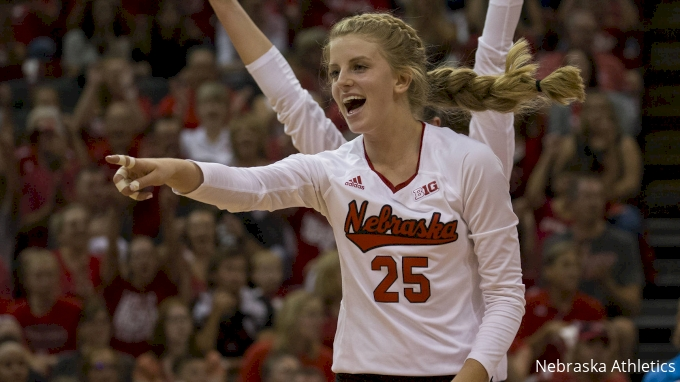 See #TheNewIU in action this weekend, live right here on FloVolleyball.